It was a gorgeous fall day here in Southwestern Ontario. I was spending time with my parents and we thought it would be a perfect day to roam the countryside visiting cemeteries for genealogical pleasure. We had always talked about going to Donegal to visit the graves of the Mason’s that brought my mother’s family from Scotland to Canada. Today we were going to do it. John Mason is a dead-end for me. I know he was born in Scotland but I have no record or mention of parents or siblings. I know he had 4 children but have only ties to the line that is mine directly. Where are the other Masons’? For a long time, I couldn’t find Charles, John’s oldest son. 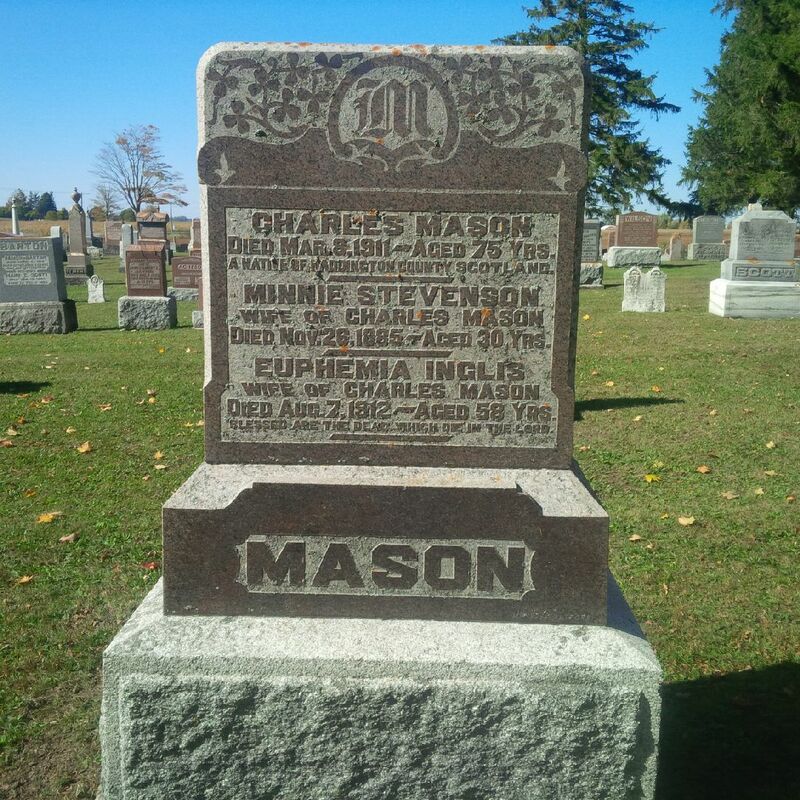 There was a Charles Mason buried in Donegal, ON but dates didn’t match up. I did eventually find Charles in Manitoba. He had started his own adventure, a story for another time. At Donegal today, I got to see John’s and his wife, Mary’s, grave stone. I could read it. The original picture I have of the stone is taken too far away for me to make out the inscription. Standing in front of it in person though, I could see that it read “John Mason – a Native of Co of Haddington, Scotland”. I knew that already from the records I had gathered. Stepping back to the next row, I could read the stone for Charles Mason. This would be the Charles Mason that I had already ruled out as a connection because the dates didn’t match. Interesting though, he was also listed as a native to Haddington County, Scotland. This got me thinking. Could he still be a connection? He was the only other Mason in close proximity to John and Mary in the cemetery and his stone was with their’s. The dates would suggest perhaps John and Charles were brothers. I pondered this because in the extensive search that I had done for John Mason in Haddington (or East Lothian), Scotland only yielded a few results for any Mason in that area at that time so for there to be a Charles “Mason” coming from the same county in the same time period was striking. “The relation indicated for this Charles Mason is not 100% confirmed. There are not any documents that I have found to show a definitive sibling relationship between Charles and John Mason. 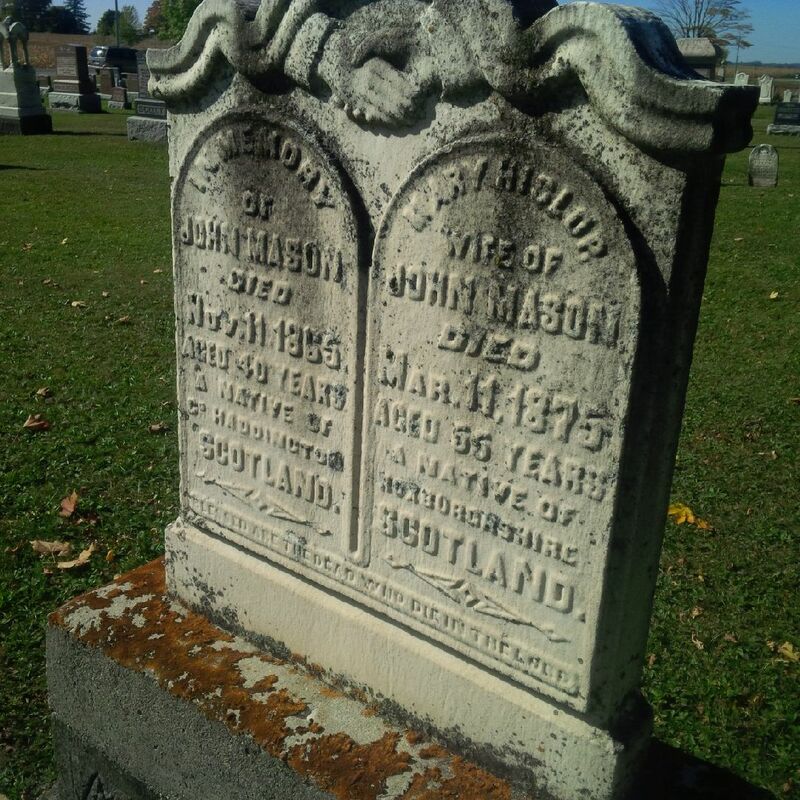 The relationship is inferred based on the fact that they both come from Haddington in Scotland, they show up separately in Ancrum, Roxburghshire, Scotland at the same time and Charles is listed with John’s family in the 1861 Canadian census. I am suggesting that perhaps they are brothers but because they are 10 years apart, they do not show up together in the same establishment but did live in proximity to each other. Both boys show up as farm labourers at 15 years of age. 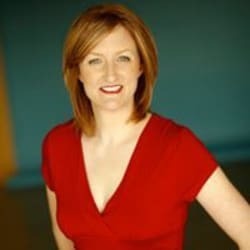 I’ve imputed Charles into my family tree to see if there might be hints generated that might shed more light onto either Mason that might connect them definitively”.